Marysel Pagán-Santana, MS, DrPHc, graduated from University of Puerto Rico (UPR), School of Public Health with a Master’s Degree in Industrial Hygiene and is currently working towards her doctoral degree in Public Health (DrPH). As an early career professional, she has focused her efforts working towards workers health and safety, mainly in the construction, distribution and farming industries. Working as the program manager in Puerto Rico, Ms. Pagán-Santana seeks to assist the Puerto Rican communities in the development of capacities that facilitate the handling and preparedness of emergencies with the objective to reduce the impact on vulnerable populations before, during, and after a disaster. 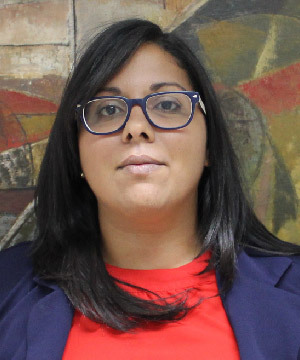 As a graduate student, Ms. Pagán-Santana has taken on several leadership roles within the UPR’s governance bodies. She participated in the University Board as a student representative and is now representing the Institution’s graduate students on the UPR’s Governing Board.